I think It's always important to set yourself goals, no matter how little or big, it gives you something to strive for and so much satisfaction when you achieve them. Since I really starting giving blogging all I had again this year, I set myself some goals, and I'm happy to say I achieved them all bar one so far, which is to get my Facebook to 100 likes by the end of the year, though I know I still have a few weeks to smash that (so if you want to help me out then please like my page). I like to set myself a few achievable targets, then some a little harder and of course one that I am pretty sure wont happen, but it's nice to have it in there anyway. 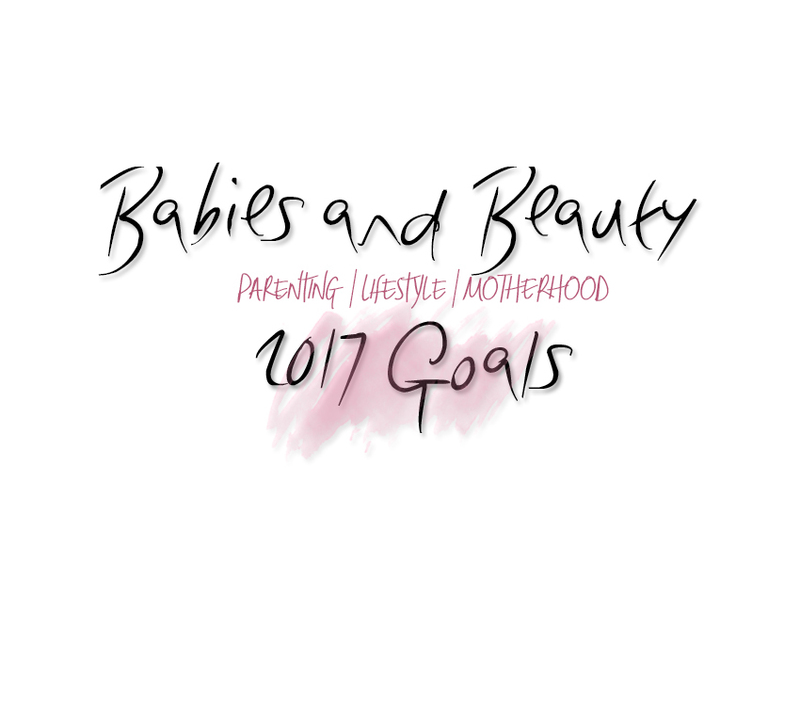 I'm going to share with you now my goals of 2017 in the blogging world. Some may seem tame to you, others crazy, but bare in mind it's all relative. 1. I'd like to get my Youtube to 500 subscribers, I feel it is doable, with almost 100 already in only 3 videos, I'm pretty pleased (it doesn't take much I know). If I produce regular content, and once I get my perfect vlog camera, I'll be up and away to give Youtube a fair shot. I've kind of put it on the back burner since October as I really wanted to push my blog and instead of being a jack of all trades and half arsing everything, I wanted to full arse my blog for a bit. Now I think maybe, just maybe I can manage to give both a decent shot? 3. Attend at least 5 events. I'm so bad for turning down events, this month alone I've successfully avoided a Kiddicare, Mothercare, Weaning, Babystyle, Restaurant and Hairdresser event. I just feel so nervous about walking into a room knowing no one, and something usually comes up. Next year I'm going to make sure I bite the bullet and do it. 4. Be consistent. I have got better at this as the months have gone on, I've only really been back in the blogging game since September, but I've made such an effort to upload week in week out. If I'm feeling down or lacking inspiration, I take a day out, then I'm straight back to it the next evening. No one likes a quitter, so I aim to keep pushing with my consistency and get a good schedule in 2017. 5. Hit 700 daily views, consistently. I've managed this a couple of times (not including giveaways) and it's so exciting to see my stats getting somewhere higher than I imagined. In September I had a mere 100 unique users viewing my posts each day, I've managed to regularly hit over five times that now. I know this seems out of my reach a little now, but I'm determined to get there. That's it for my blog goals next year, I might add to this as things change or progress. Do you have any goals for 2017? Love this. Definitely agree with the extra earnings. Every little helps, am I right! !